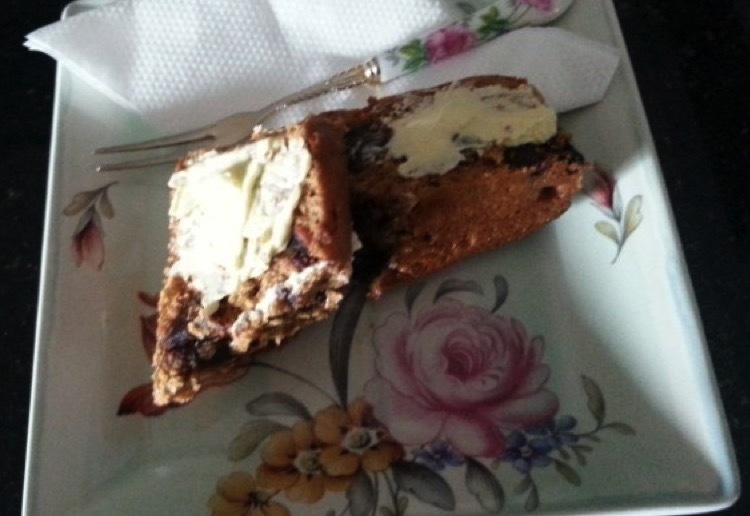 Home | Recipes | Date and Walnut Loaf. A very moist loaf cake, ideally cut into slices and buttered. It keeps very well in an airtight container if it lasts that long. Note: ground ginger may be omitted if you wish also walnuts may also be omitted if there are nut allergies…then it becomes a date loaf. Place dates and margarine is a bowl with boiling water and bicarbonate of soda. Gently mix with wooden spoon to ensure all margarine has melted and dates plump up. Allow to cool. In mixing bowl, combine self raising flour,ground ginger, walnuts and sugar, then add to cooled bowl of dates, margarine, water and bicarb. Mix well with wooden spoon and add beaten egg. Spoon mixture into a lined loaf tin. Bake for around 60 minutes at 170 C .
Leave to cool on a wire rack. Slice and spread with butter. Date and nuts go so well together. Thanks for the recipe. Yum. Date and walnut loaf is always a delicious tasting loaf and I like to warm it a little and spread it with a little butter. Thanks for your recipe – your loaf looks good. A friend of ours used to make them in a special round container so that you cut it as a round slice. Actually I have one of those cylinder tins but I find it is a bit more mucking around and you can only 3/4 fill it. 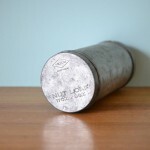 When I was a teenager my mum and dad would make date loafs in old beer tins. 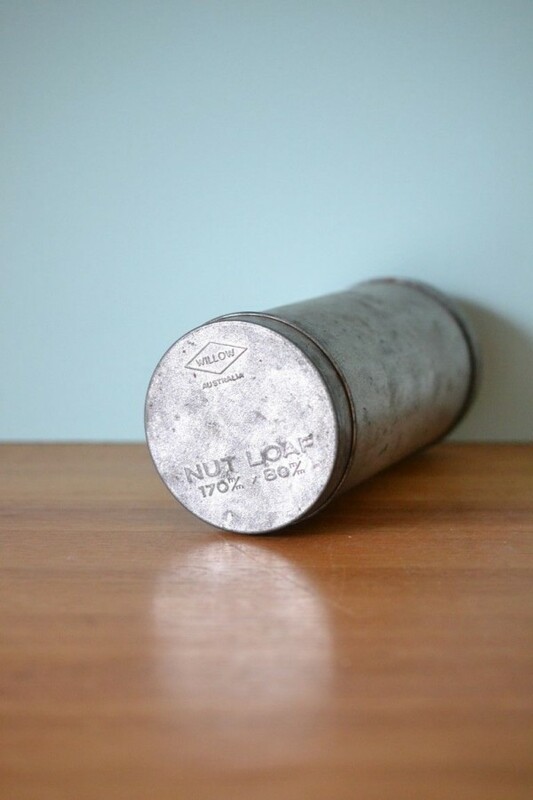 Any how you can still purchase cylinder tins and they do make lovely round loaves. cheers cherz. A delicious loaf,love the dates and walnuts together! Thanks!